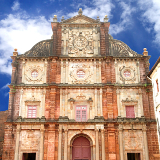 With its bustling markets, sun-soaked beaches, and breath-taking historical sites and religious architecture, the small, yet vibrant state of Goa offers its visitors an opportunity to immerse themselves in a distinctly Indian experience. With a total population of just under one and a half million, Goa, as one of India’s less populous states, is the idyllic escape. 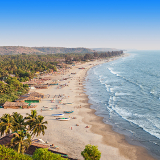 And for a limited time, cheap flights to Goa are available; take your chance to visit this remarkable region of the exotic subcontinent today! Goa International Airport (IATA: GOI, ICAO: VAGO), located in Dabolim is situated about 45 minutes by car (and about double that by train) from the state capital of Panaji. This airport offers travellers a number of transportation options, including shuttle bus, taxi, train, and car rentals. It goes without saying that the shore of balmy India is going to offer a prime beach experience. All white sands and coconuts, its 36 beaches represent a sun-soaked paradise. 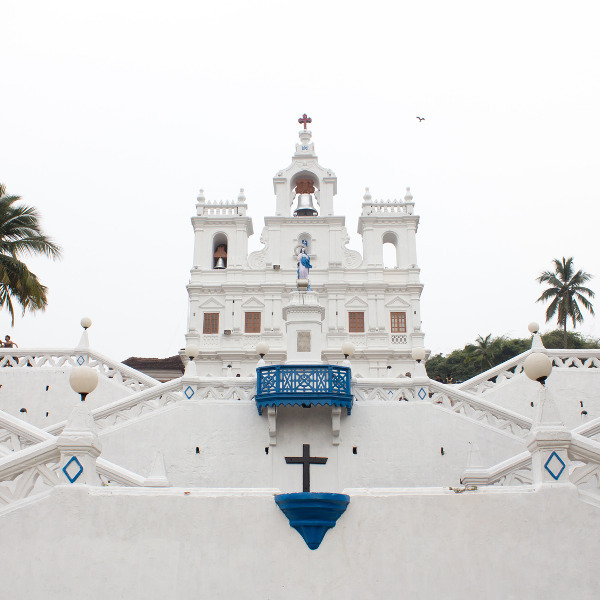 From its ancient Hindu temples and immaculate Roman Catholic churches to the ruins of ancient Portuguese forts, Goa’s blend of Eastern and Western historical influence is astounding. 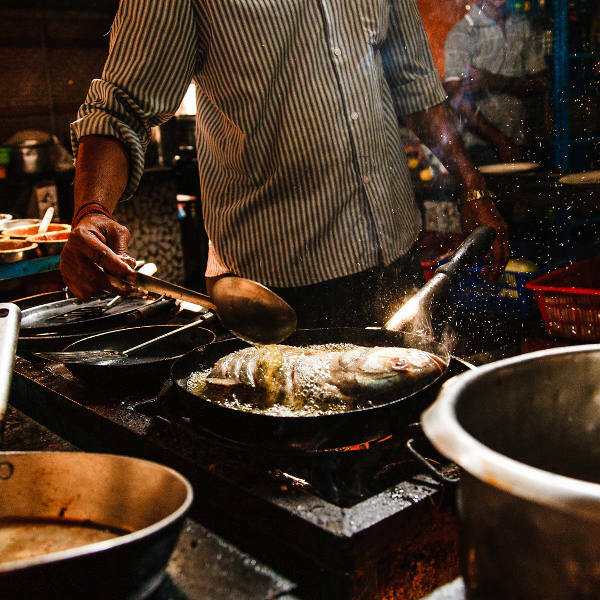 There’s no trip to India that’s complete without sampling the local cuisine; and in Goa, that means an array of delectable seafood dishes made from the ever-fresh local catches. As with most of India, Goa’s visitors should anticipate a hot and balmy climate; and it doesn’t vary much throughout the year. November to February is the coolest time of year for the region (and even then, temperatures tend to hang around the upper 20s), but it’s also the hub of the tourist season. It generally remains pretty easy to find a quiet seaside spot, especially in the southern portion of the state, but if you’d still prefer to come down at a quieter time, the crowds tend to have thinned out around late February to March – though stay much later than that, and you’ll find yourself in Goa during its hottest period. The period immediately preceding the tourist season, meanwhile – mid-June to late September – is India’s famed monsoon period. Naturally, this isn’t the best time to head down there if you’re looking to sunbathe on the sand; but if you’re looking to take in the region at its greenest, or focus on its more indoor attractions, this, too, might be a good time to pop by before the crowds flock in. It may be the country’s smallest state; but Goa is a region that boasts so many of those distinctly Indian wonders – tropical beauty, bustling city life, striking historical architecture, and warm, welcoming inhabitants – that have, for decades, drawn visitors to this unique and exotic land. Admire the region’s gorgeous Roman Catholic churches and explore the museums preserving the region’s centuries of vibrant history and culture. Take to the glistening waters of the Indian Ocean for some snorkelling or parasailing, sample the freshly local seafood delights at the resident eating establishments, or simply wander along the white sands of its sunny beaches. Goa is a little less than an opportunity to completely lose yourself in the singular beauty of a region of the world quite unlike any other. Compare several airlines, and book your cheap flights to Goa online at Travelstart. Though India is a beautiful country, it is sadly the habitat for a number of infectious diseases. The Centres for Disease Control recommends that visitors ensure that they are up to date with all of their routine vaccinations. Goa boasts one of the lower infection rates for malaria, however, cases still occur in the area. Before departing, travellers should consult a health professional about antimalarial medication. Another mosquito-borne infection, Japanese encephalitis, has also been known to occur in India, and you may likewise wish to consult a professional. In terms of personal security, Goa is noted as one of India’s safer areas. However, as is the case anywhere, travellers should be conscious of basic personal security. Keep a close eye on your valuables at all times, especially in crowded areas. 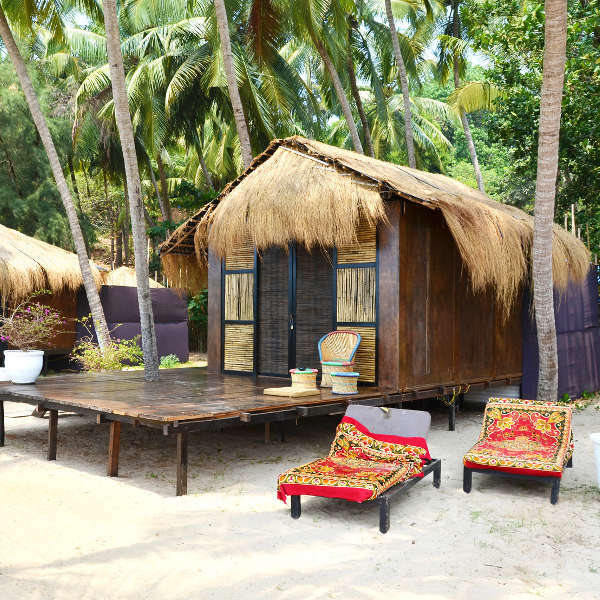 Goa is renowned for its gorgeous beaches, and visitors are spoilt for choice when it comes to seaside accommodation. Lined with beach resorts end to end, Goa’s the perfect stopover for anyone who fancies a holiday spent beside the seaside. For those who’d prefer a more inland getaway, many other resorts lurk amidst the state’s wild interior, while its bustling towns and cities offer a choice of establishments that’ll offer a much more urban sort of accommodation experience. As is the case in much of India, affordability’s everywhere. Of course, a visitor seeking out 5-star level luxury might splurge as much as 2,000 to 10,000 Rupee on their stay; but a traveller on a tighter budget might find a comfy spot to stay for 800, 400, or even as little as 200 Rupee. It’s all about seeking out what’s best for you. One’s options for getting around Goa are many, and depend a great deal on budget and precise needs. Taxis and auto-rickshaws are widely available, but due to lack of regulation, standard fares are not generally adhered to, and you may have to be prepared to shell out a fair amount for the drive. Busses, though busy, are generally more affordable; and for the traveller who’d prefer to make their own path, a number of car and motorbike rental companies are available across the state, and are a popular option among tourists and travellers. And of course, don’t put aside the option of taking the shorter trips on foot. 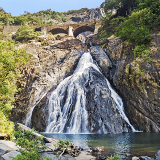 It’s a small state, after all; and a stroll along the beach, or through the busy streets, might well be one of the best ways to truly take in the intimate details of the area’s beauty.